Can I Reopen My Previous SSD Application? If you are denied benefits and decide not to appeal your claim – or if you miss the deadline for your appeal – then the Social Security Administration (SSA) will close your case. However, you may be able to have the claim reopened at a later date if you file a new claim and it is related to the original one. Your entitlement to benefits is tied to your application date. If you are awarded Supplemental Security Income (SSI), you are entitled to benefits beginning on either the date of your application, or the date you became disabled (whichever is latest in time); if you are awarded Social Security Disability Insurance (SSDI) benefits, you are entitled to benefits beginning either 12 months prior to your application date or five months after you became disabled (again, whichever is latest in time). If your prior claim is reopened, the SSA will use the date of your first application as the date from which you may be eligible for these back benefits. This means that you may be entitled to more back-pay if you claim is reopened. To be reopened, a prior disability claim needs to be related to the current disability claim (for example, an initial claim for a herniated disc and a second claim for a herniated disc and spinal stenosis). The SSA will not reopen a prior claim that is based on a disability that is unrelated to the current claim. In addition, the onset date of your disability on your second claim must be within the timeframe covered by your first application. The SSA has not created a particular form or process for claimants who want to reopen a claim. To reopen a claim, you must file a new application for disability benefits and ask the SSA to reopen your old claim. 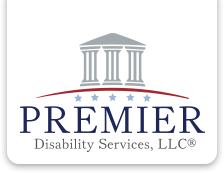 Prior Claim Less Than 1 Year Old: A prior claim that became final after Disability Determination Services (DDS) or an administrative law judge made an initial determination can be reopened within 12 months of the date of the decision for any reason. After 12 months has passed, it becomes more difficult to reopen a claim. Prior Claim More Than 4 Years Old: The SSA will reopen a case that has been closed for more than four years only for a few very specific and rare reasons. SSI claims can be reopened at any time if there was fraud or similar fault. Examples are when someone knowingly made false statements or left out information that can affect the outcome of the decision. SSDI claims can be reopened at any time if there was fraud or similar fault, but also to correct a mistake in computing benefits, to correct an error that is evident on the face of the written decision, or for a few other unusual reasons, like if the denial was based on a criminal conviction that was later overturned. If you or someone you know is trying to reopen an old SSD claim – or looking to file a new application – please contact us for a free case evaluation! What is Expedited Reinstatement (EXR)? If your benefits ended because you worked and had earnings, you can request that your benefits start again without having to complete a new application. While the Social Security Administration (SSA) determines whether you can receive benefits again, they can give you provisional (temporary) benefits for up to 6 months. This is called an Expedited Reinstatement (EXR). iv. Make the request within 5 years from the month your benefits ended. iii. Reach full retirement age. If you or someone you know are unable to work due to a medical condition, please contact us for a free case evaluation! Individuals who suffer from severe medical conditions are generally on medications to manage their symptoms, no matter what the medical or psychiatric symptoms. Often these medications have side effects that are nearly as troublesome as the original symptoms, but are necessary for lessening or containing the illness – such as chemotherapy or narcotic pain medications. Many medications have side effects such as fatigue, nausea, and confusion. Side effects of prescribed medications are actual “symptoms” that must be considered in determining whether a claimant is disabled in a Social Security Disability claim. It is important for a claimant to tell a doctor all about all of the side effects they experience, at every appointment. This is not only so that the doctor will know, but also because it is important that these symptoms be documented in the medical records. Judges look to the medical records to determine the credibility of the claimant and it is very helpful if the record documents these issues. Many computerized medical records have a check list of symptoms before a visit. These are better than nothing, but actual comments by the treating professional are more persuasive. You should also be sure to note these severe side effects when filling any disability forms.